FLASH GOT A TV SHOW?! How did get his AFTER arrow? makes no sense to me. And before you get all upset and start interrogating me if I’ve ever even seen arrow- I HAVE. IT’S AWFUL. Then again I wasn’t a big fan of smallville either- but lemme explain WHY. IT’S NOT FOR DUDES LIKE ME. I’ll let you assume what kind of dude I am. cause I don’t want to get into it. It’s personal. 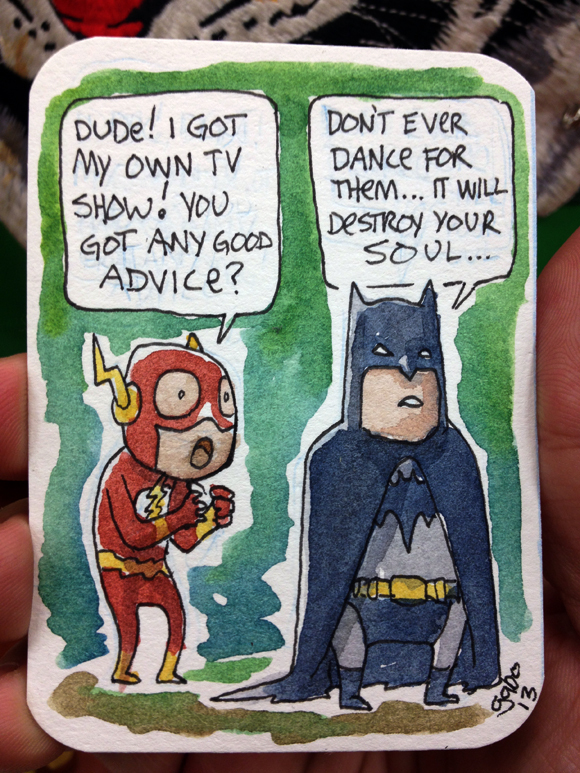 I hope they make flash dance, like flash dance. I hope also they actually put their brains to use and actually USE this flash character in a movie. this REALITY. like the justice league movie maybe?